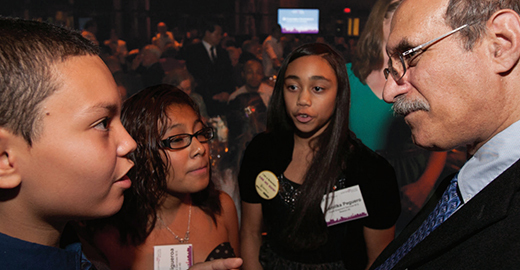 The Global STEM Alliance is an initiative to boost engagement in several of the subjects (science, technology, engineering and mathematics) crucial in tackling several of the great challenges of our time – and on the same time subjects where we see a decline in interest from students worldwide. The Alliance is an initiative of the New York Academy of Sciences (NYAS). As a "Founding mentoring partner" the role of Young Academy of Sweden will be to offer mentoring by its members to students through the online platform that NYAS is developing with CISCO Systems. On September 22 Young Academy of Sweden's Martin Högbom (Chair) and Anna Sjöström Douagi (CEO) will attend a The Global STEM Alliance International Launch in New York. 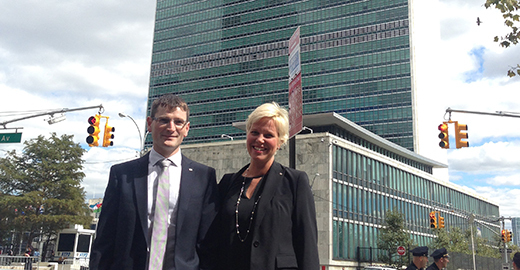 Martin Högbom (Chair) and Anna Sjöström Douagi (CEO) at the UN, New York in time for the launch. be a global resource for STEM teaching and learning materials.